The marquees are going up for the Birmingham Honey Show, which returns to Martineau Gardens this weekend, for its third year. 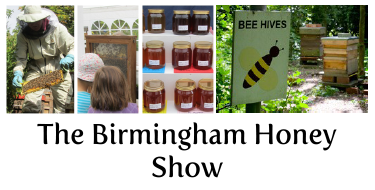 We’re looking forward to a great event, in the company of those friendly folk at the Birmingham and District Beekeepers Association. Find out what’s planned for the event and how to get to Martineau Gardens, by clicking here.